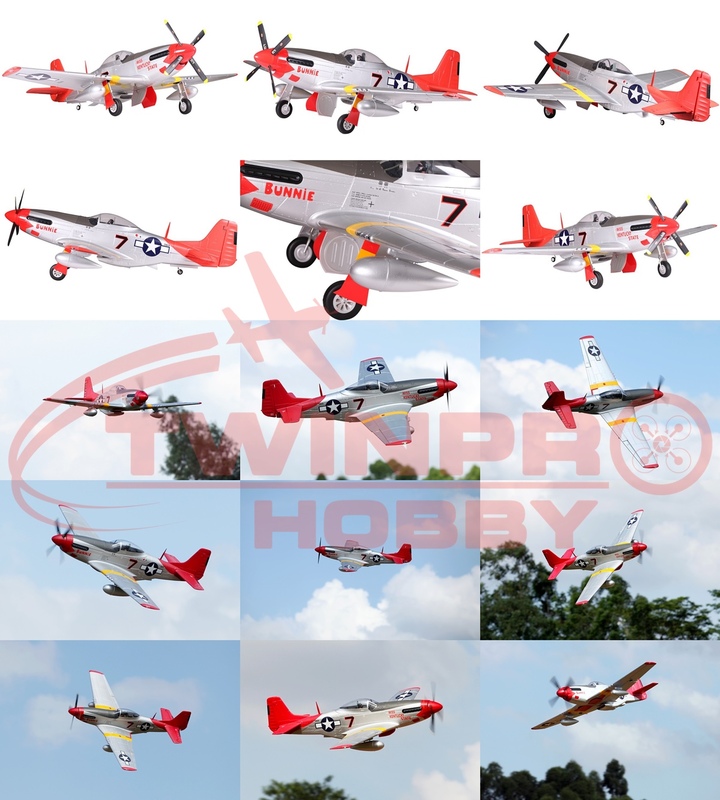 The first of the giant 1700 series of aircraft to arrive is the fabulous P51 "Red Tail" Mustang. It features unbelievable scale finishing and best of all requires minimal effort as its simple assembly will have you ready to take to the skies in just several hours. The airframe features a removable 2 piece wing that is simplistic in attachment and connection, the new FMS 'multi-pin plugs' mean that the complex wiring is now just a single connection per wing and not the usual plate full of spaghetti normally seen in lesser airframes. The cockpit is adorned with the full complement of dials and levers and the hand painted pilot finishes the effect. Upfront, the scale shape spinner and reinforced nylon four blade propellor really does give a purposeful look. As you would expect, the huge brushless out- runner motor is mated with a top quality ESC enabling stunning flight performance. Metal gear servos handle all the control surfaces and are fast with great centring performance. The resulting flight performance gives a finesse unseen in a ARTF in this class. 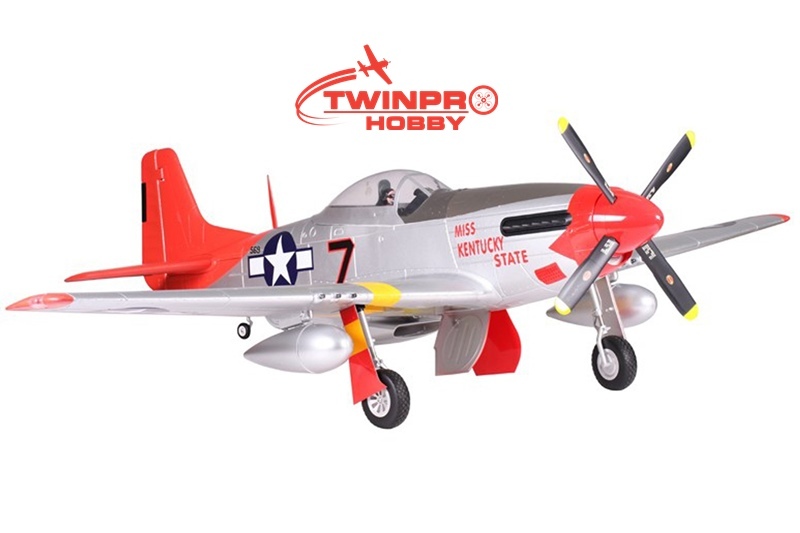 Get yourself down your local model shop and order the 1700 Series P51 Mustang and steel the limelight at your airfield.